The Tampa Bay Rays halted their blitz of contract extensions long enough to reassign 10 players to Minor League camp on Friday — reducing their Spring roster to 30 ahead of Opening Day, on Thursday. All were non-roster invites. Emilio Bonifacio, Kean Wong, Jason Coats, Jason Smolinski, Mac James, Oliver Drake, Andrew Kittredge, Hoby Milner, Casey Sadler, and Cole Sulser were the 10 players reassigned. They are tough decisions, without a doubt, you’re dealing with people. Cash also said many of those players could help Tampa Bay this year, starting with Cole Sulser. You can hear his interview in its entirety below, courtesy of Rays Radio. 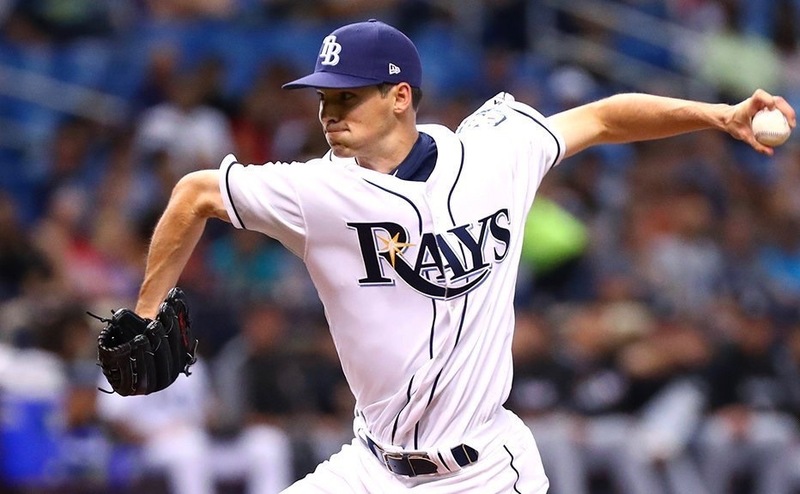 The cuts narrowed the bullpen battle down to Jalen Beeks, Emilio Pagan, Hunter Wood, and Adam Kolarek, although Matt Duffy’s (hamstring) health could determine whether the Rays goes into Opening Day with 12 or 13 pitchers. If Duffy has to be placed on the injury list, that would open up another spot on the 25-man roster. As Juan Toribio (MLB.com) writes, Guillermo Heredia is another player who is fighting to break camp with the team. Guillermo Heredia is another bubble player right now. The outfielder, who was acquired from Seattle in November, has put together a solid first spring with the Rays, hitting three home runs in 32 at-bats and playing solid defense. Due to the crowded outfield — including Kevin Kiermaier, Tommy Pham, Austin Meadows, Avisail Garcia and Brandon Lowe — it appears that Heredia could start the regular season with Triple-A Durham. Beeks, Pagan, Wood, Kolarek, and Heredia all have options remaining. Jose Alvarado, Anthony Banda**, Jalen Beeks, Diego Castillo, Yonny Chirinos, Jose De Leon**, Wilmer Font, Tyler Glasnow, Adam Kolarek, Charlie Morton, Emilio Pagan, Chaz Roe, Blake Snell, Ryne Stanek, Hunter Wood, Ryan Yarbrough. Willy Adames, Ji-Man Choi, Yandy Diaz, Matt Duffy, Brandon Lowe, Daniel Robertson, Joey Wendle. Avisail Garcia, Guillermo Heredia, Kevin Kiermaier, Austin Meadows, Tommy Pham. The Rays are trying to get Matt Duffy enough at-bats prior to Opening Day. In doing so, the third baseman played in multiple Minor League games on Friday and was able to get in nine at-bats. Duffy rotated through the back fields and was limited to hitting and running the bases. Feel good. Tomorrow will be another big test with how it bounces back after back-to-back days on being on it, I felt good today.